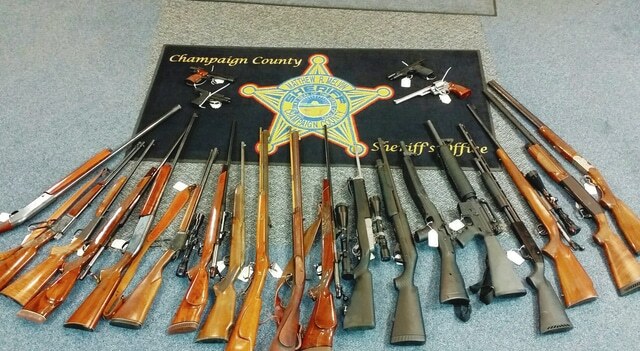 The Champaign County Sheriff’s Office and the Springfield Police Department’s Special Investigation Unit executed a search warrant at a Ridge Road residence earlier this week and found 23 firearms and drug items. The Mechanicsburg Police Department conducted a drug bust Wednesday at a West Sandusky Street residence and recovered drugs and drug paraphernalia. Several pounds of marijuana and more than 20 firearms were found by local law enforcement during a drug search warrant earlier this week. Champaign County Sheriff Matt Melvin states in a press release that deputies from the sheriff’s office along with members of the Springfield Police Department’s Special Investigation Unit executed a search warrant at a Ridge Road residence in Salem Township Monday. The search warrant was obtained as a result of a three-month investigation. A search of the residence and buildings on the property revealed several pounds of marijuana, a grow operation, recently harvested marijuana plants, drug paraphernalia and 23 firearms. Melvin said the case was under investigation as of Thursday afternoon and likely will be presented at the next grand jury. “I would like to thank the Urbana Police Division for providing information from their crime/drug tip line in this investigation,” he stated. Melvin encouraged county residents to continue providing tips to the sheriff’s office and Urbana police. The sheriff’s office tip line is 937-484-1905. The Urbana police crime/drug tip hotline is 937-652-4357. The Mechanicsburg Police Department conducted a drug bust Wednesday at a West Sandusky Street residence. Mechanicsburg Police Chief John Alexander said the bust occurred at 11:25 a.m. and police confiscated drugs and drug paraphernalia. He added charges will follow. Alexander said the department has made several drug busts this year. “I’d like to thank all my guys for a job well done and to thank the citizen who made that important call,” Alexander said. He also thanked the Champaign County Sheriff’s Office for help on the case. 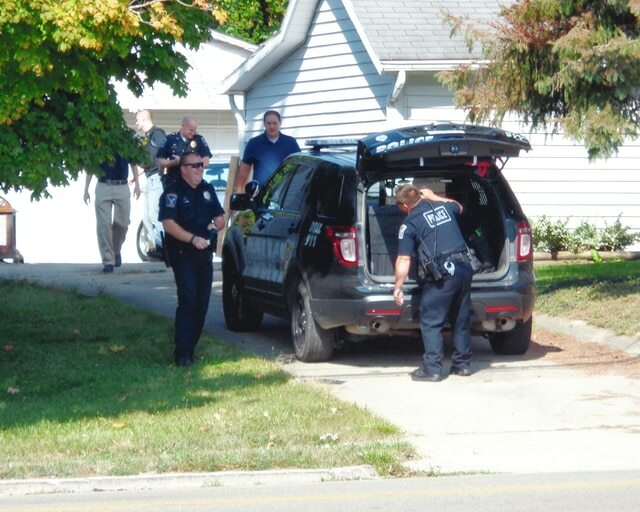 Urbana Police Chief Matt Lingrell stated police acted on a search warrant at 247 Harmon Ave. on Oct. 2 as the result of an ongoing investigation involving Mechanicsburg and Urbana police in relation to the address where suspected drug trafficking crimes were occurring. During their search, officers found illegal drugs and drug items including prescription drugs, marijuana and drug paraphernalia. Police interviewed resident Eddy Powell, 57, and released him pending the results of evidence sent to a crime lab for analysis. Lingrell added police plan on presenting this case to an upcoming grand jury. Twenty-two of the 32 people a Champaign County grand jury indicted last week were indicted on drug-related charges.